The Prime Minister calling concerns over land alienation “fake news” are unfortunate, but not surprising to Fiu Mataese Elisara, a critic of the Asian Development Bank’s role. 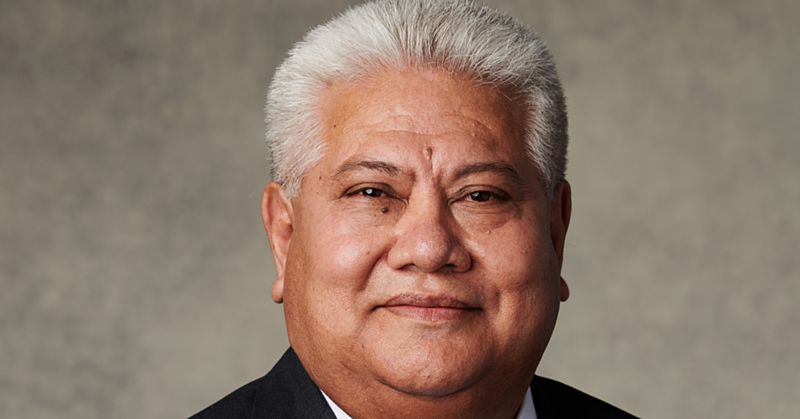 Speaking with the Samoa Observer, Fiu said while he has to respond to the claims, he will not go down to the level of using the language Prime Minister Tuilaepa Dr Sa’ilele Malielegaoi does. “We still have to keep the integrity of the process and the substance of the argument and try as best to be factual as possible, by learning from what has been happening in our own country” Fiu said. During the A.D.B’s high level visit to Samoa which for the first time included President Takehiko Nakao, protesters outside the Government and the airport called for, among other things, the bank to leave Samoa and to stop loaning money to Samoa. 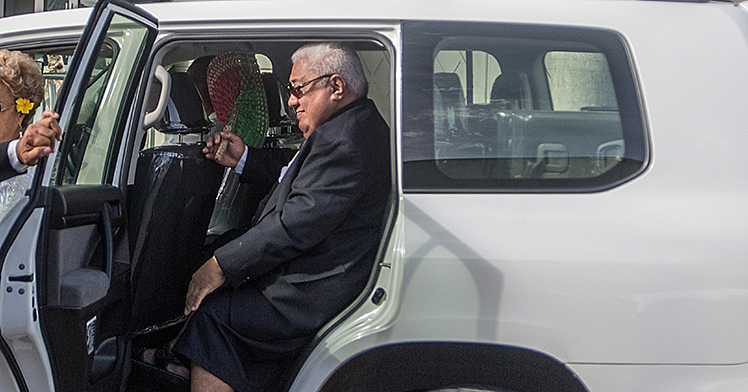 Prime Minister Tuilaepa Dr Sa’ilele Malielegaoi called the protest and their mission – to protect Samoa from the alienation of customary land “fake news”, and on Thursday during his weekly media conference said they had “decided not to understand” the issue. Fiu said he’s amazed to see the language of United States President Donald Trump in Samoa. “It’s just amazing, you know, the kind of leadership that is actually influencing the mind-set of our own leaders, they end up using the same kind of unfortunate language. 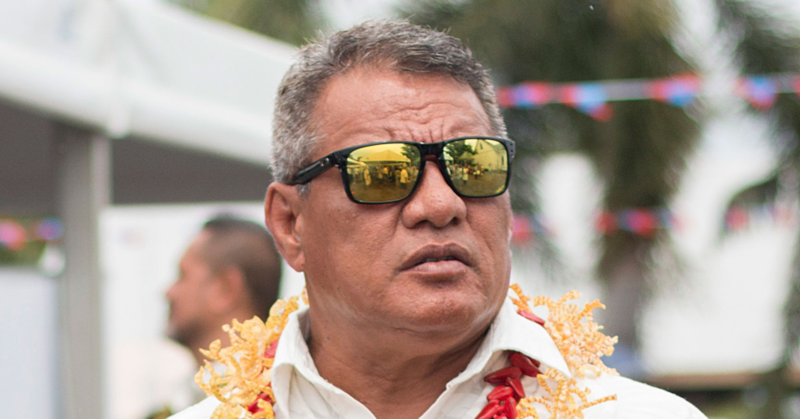 He said while he can understand the Prime Minister’s perspective, he is concerned Tuilaepa has no accountability for the words he uses. In those cases, it is when the cause could be at risk, said Fiu. “If we allow that kind of talk to continue without being challenged then our own cause can be affected too. That the Prime Minister won’t acknowledge the serious concerns of his people flies in the face of evidence from the Asian Development Bank itself that consultation was lacking. “We’ve always said that we support the laudable objective of the use of customary land for economic purposes, there is no one questioning that,” Fiu said. “It’s a very clever ploy, very clever in how he uses the radio. 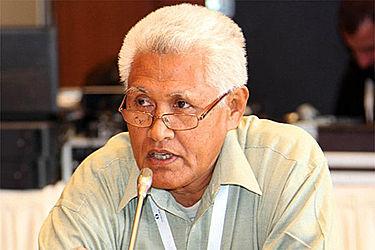 Ideally, there would be more equal opportunity to debate the issues, as civil society doesn’t have the funds to buy expensive airtime that Tuilaepa can access for free, said Fiu.